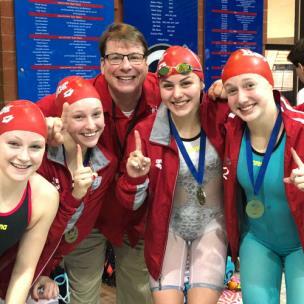 On Friday and Saturday, the Baylor School has won the combined and girls 2019 TISCA State Swimming & Diving Championships. 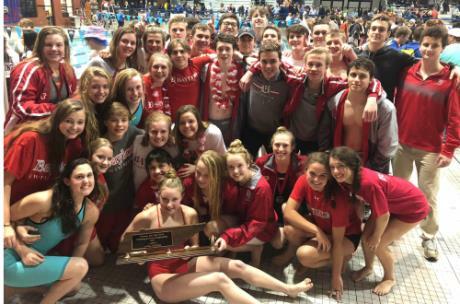 This is the fourteenth year in a row that the Baylor School has won the combined team title, while the girls claimed the state title with a narrow six point victory over Harpeth Hall. 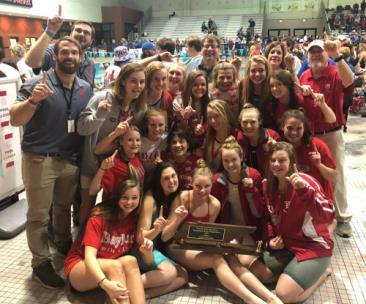 This is the first time since 2013 that the Baylor School girls have won the TISCA State Title. The Baylor School boys finished third overall just behind the McCallie School and Maryville High School. On Friday, the Baylor School boys 200 yard Medley Relay of Jack Kirby, Alex Borisov, Aidan Sims, and Will Tippett claimed second in the event just behind Maryville High School in a time of 1:33.05. Junior and newcomer, Alex Borisov claimed the TISCA State Title in the the Boys 2oo-yard IM, recording a time of 1:50.40. A trio of Baylor swimmers also finished in the top three on Friday evening. Senior, Addison Smith finished second in the 200 freestyle in an Automatic All-American time of 1:47.23, Jewel Gordon took third in the 50-yard freestyle, and sophomore Ellie Waldrep claimed second in 100-yard butterfly in a NISCA Automatic All-American time of 54.32. In the girls 1-meter diving competition Haley Rice finished third overall with a combined score of 351.85, while teammate Eva Binder took sixth with a score of 302.45.